Mitchell Gourley has been named one of the 2018 Paralympics co-captains. 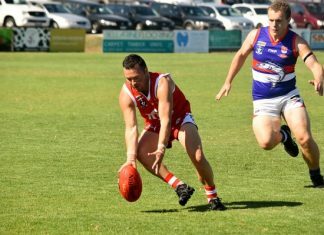 Barwon Heads local and two-time Paralympian Mitchell Gourley has been announced as a co-captain of the Australian Paralympic team for the 2018 PyeongChange Winter Paralympics. The star alpine skiier and para-snowboarder Joany Badenhorst will lead the team at the Games in March. Gourley, who was born without his lower left arm, competes in all five alpine skiing disciplines in the men’s standing class. 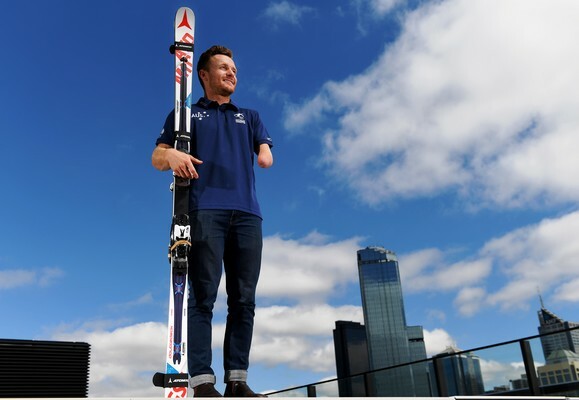 He made his Australian team debut as a 15-year-old in 2006, and in 2011 won his first gold medal in international competition in the giant slalom at the IPC Nor-Am Cup. In March this year, he claimed his maiden world title in the Super Combined, and ended his best ever season with the IPC World Cup Crystal Globe for the most points banked up in the Giant Slalom. “It’s exciting and humbling to be named as co-captain for PyeongChang with Joany. We didn’t officially have captains for the last couple of Winter Games but we were lucky enough to have some incredible leaders over that time and I hope I can pass on some of what they taught me,” Gourley said. The announcement was made in Melbourne by APC chief executive Lynne Anderson, who said she was confident that the leadership of Gourley and Badenhorst could take the 2018 Australian Paralympic Team to new heights and create a cohesive culture; similar to the Australian Paralympic Mob culture established by the leadership team prior to the Rio 2016 Paralympic Games. With a wealth of success on the world stage, Gourley and Badenhorst now have the responsibility to work closely with the Australian Paralympic Committee (APC) and Chef de Mission Nick Dean to create a clear vision and unite athletes from the team’s two disciplines – alpine skiing and snowboarding – in the remaining five months until the Games begin.